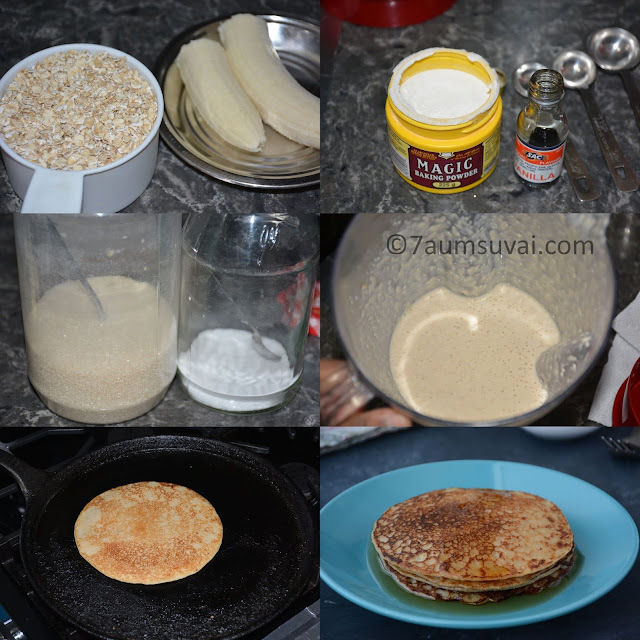 Quick and healthy pancake prepared with Oats, banana, and milk. 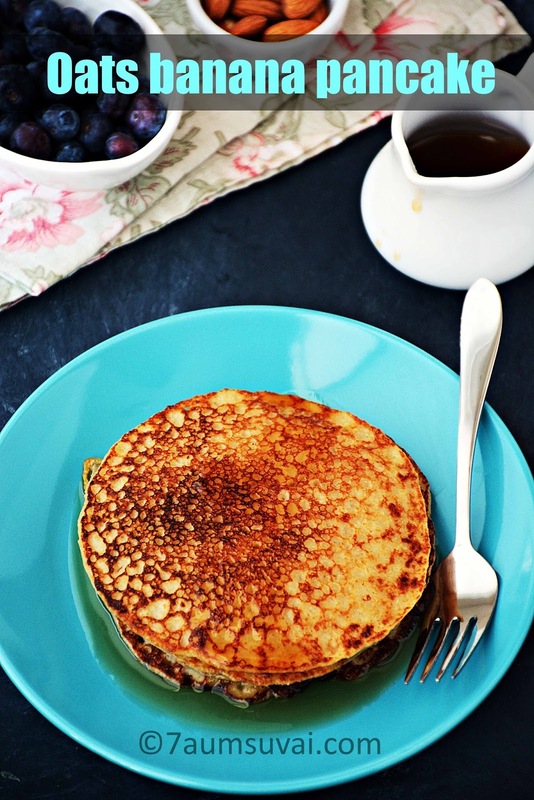 You can prepare this yummy pancake in under 10 minutes or in no time. Take a blender, add oats, banana, milk, sugar,salt, baking powder, vanilla essence and blend it thoroughly for 5 to 7 minutes or until well blended. Set it aside for 5 minutes. 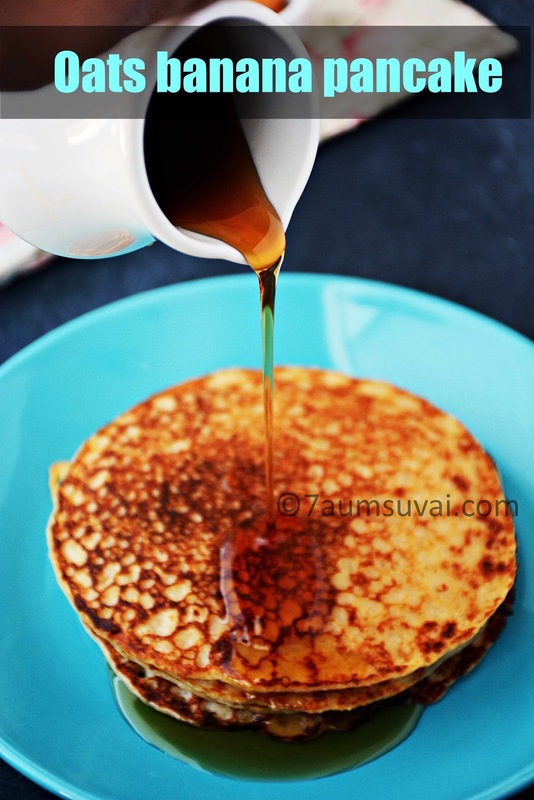 Heat a tawa or dosa pan, add little butter and pour 1/4 cup of batter per pancake onto the pan. Allow them to cook both sides till golden brown.Tasty and yummy oats banana pancake is ready and serve hot with maple syrup. You may always replace quick oats or instant oats with steel cut oats. 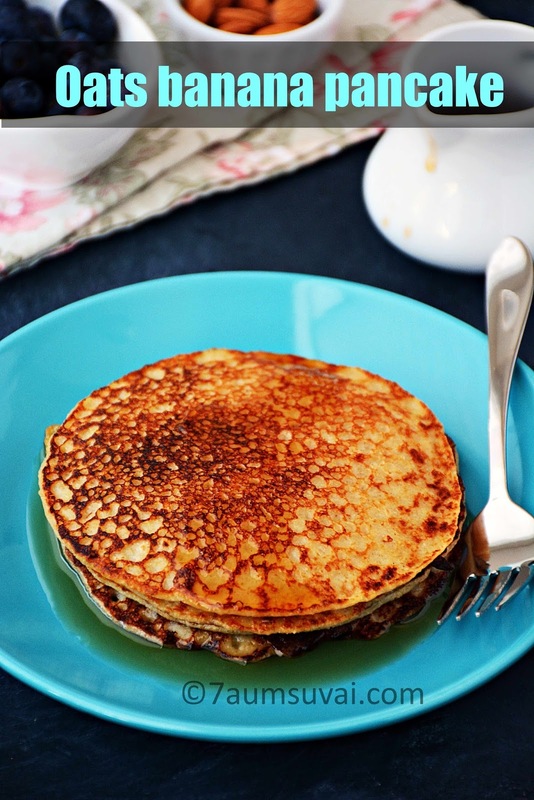 Consistency of pancake batter should be like dosa batter not too thick nor too thin. 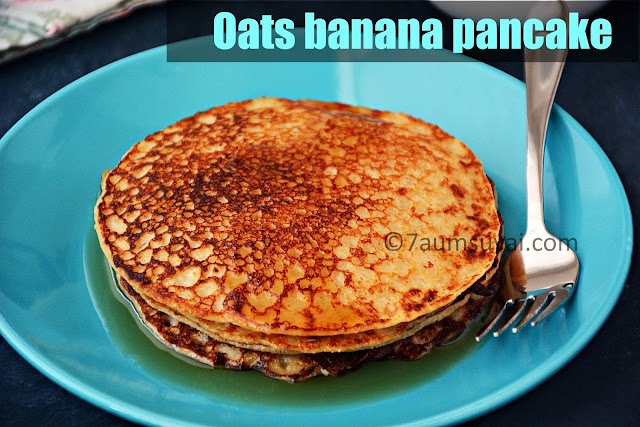 Technorati Tags: Oats,Oats pancake,pancake recipes,Oats banana pancake,banana pancake with oats,pancake,7aumsuvai,7aumsuvai recipes.,breakfast recipes,Oats breakfast,Oats banana pancake recipe,Recipes with video,how to make oats banana pancake,how to prepare oats pancake,oats pancake with video,international recipes.,Kids recipes.